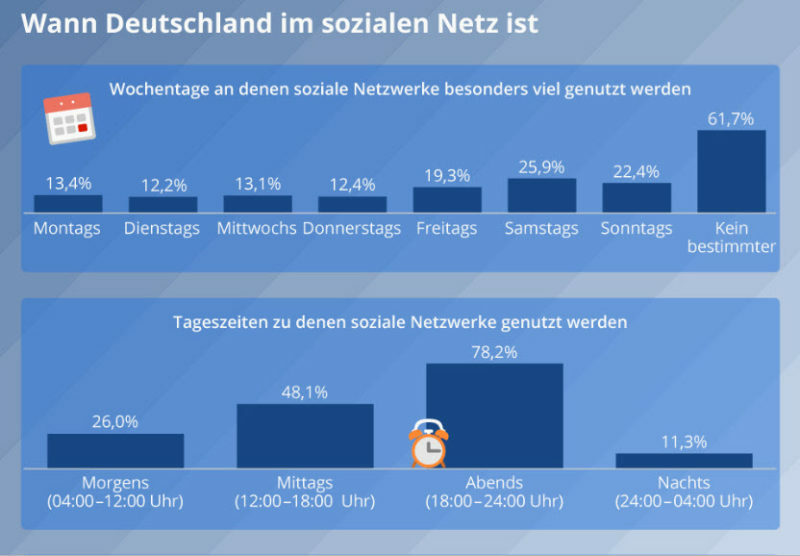 When and for how long do Germans use social networks? These were the questions that Statista’s analysts investigated in the study Social Media Advertising 2019. According to the study, two thirds of respondents say that they don’t give a particular day on which they spend a lot of time on Facebook and the like. The number of users reaches its peak in the evening hours (18:00 to 24:00). By contrast, comparatively few people are online in the morning and at night. 23 percent of respondents spend less than 30 minutes at a time on the social network. The proportion of intensive users (three hours or more) is 13 percent.